In my normal time with the Lord one morning, Jesus spoke to me–not an audible voice, just that thought from nowhere that I've learned is often the way he speaks to me. "Walk Oltorf," was what he seemed to say. I would like to tell you that I immediately obeyed him, but that would not be true. It took me about two months, and it was only because a Texan summer was fast approaching that I finally obeyed what I had sensed him say. 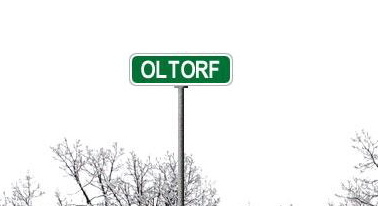 Oltorf is a street about a 20 minute drive from our house. We didn't know anyone who lived there, had no reason to ever even travel along it. The first day I walked, nothing special happened. But the following day, I took a slight detour off the main road, and found myself in a low income housing project named Springfield. As I walked between the rows of run-down houses and dumpsters, the Lord spoke to me again. "You are to start a church here." As I left the housing complex to where I had parked the car, I met one of the people who lived in a house alongside Springfield. He showed me the holes in the fence from a drive-by shooting, and pointed out the flashy car of one of the local drug dealers who was exiting the complex. Back with our simple church, I shared what had happened, and a group of people committed to pray for the people who lived there. Mostly we prayed on our own; occasionally we came together to pray, and once or twice we prayer walked Springfield. The next post will continue the story. Has the Lord ever led you clearly to an area or a group of people? I'd love to hear your story. It was nice meeting you and Tony this past weekend at Momentum. This story happened a couple months ago. My wife and daughter, six years old, went to a local farmer’s market to purchase some fresh produce. They bought various fruits an vegetables including a watermelon. When leaving, my wife felt led to drive through a poor area of town and pray for the people there. When driving through, my daughter said, “Mom, I think God wants us to give this watermelon to someone here.” My wife said okay, and as they were driving they didn’t see anyone. My wife proceeded to start driving home, but my daughter said “Mom, we need to turn around, God wants us to give this watermelon away.” Conflicted since they hadn’t seen anyone on their first pass, but not wanting to quench the faith of our young daughter, my wife decided to turn around. They drove through and saw one woman at a bus stop. My daughter said, let’s give it to her. So they walked over and asked her if she wanted a watermelon. She said, Yes!, watermelon is my favorite food. She then poured out her life: that she was from Panama and had only been in Florida for one week. She didn’t have a job, and was really struggling. Part of the way through she said, “Wait!, why are you giving me this watermelon?” My wife said, “It might sound crazy, but God told my daughter to give it to you.” She was amazed. They ended up exchanging information and having several phone conversations before she moved to another city. I’d love to say that she immediately became a follower of Christ, but I think God just might have wanted us to bless her and plant a seed. All we can do is be faithful with what He has called us to do. We will leave the results in His hands. Mark, we enjoyed meeting you too. What an awesome story. It must have greatly increased the faith of your daughter! I wish all kids of Christian families had that kind of experience. It did increase her faith. It was said at the conference that children DO NOT receive a junior Holy Spirit, but the whole thing. This experience showed that to me. Oh Yeah…sure the LORD have led me to a special area of people. I lived a normal life but my marriage wasn´t good so I was on my way to make a suicide, this was in year 2000. I lived in Sweden and it was when my husband was in the hospital GOD Almighty and Jesus come home to me and my daughter who was 15 in that time was at home. GOD saved my daughter directly and she joined a church next day but with me did GOD made it so that I saw no other way than to leave everything behind me and take the flight to USA. But it wasn´t that place GOD wanted me to be in so in February 2001 had I arrived to Florida with a flight even if I had no money for a flight. I had no income but still did I come to Virginia Beach in March 2001 and later in Portsmouth said GOD to me inside my head that I should go an registrate a church. When I told the woman that filled in the application for me in the office in the city hall that I should start a church did she asked what was the name of the church. I had no name so I asked GOD inside my head and HE said the prayer of healing church. He said I should built the HIS last church in Portsmouth. GOD did let me go in USA for 3 and half years without money or any help from people. I was homeless for 2 and half years and had nowhere to go. I had no money to fly home with and worse did it when after September 11, 2001. I come back to Sweden almost dead. My Doctor in Sweden thought I had cancer because I had no so much blood so he said I must leak blood inside me but I had no cancer. It took me 6 years to be o.k. after been in USA. I was in USA in 3 and half years and that is the same amount of years Jesus was walking with the disciples. I didn´t knew anything about Jesus and the Bible before I come to USA but today am I an ordained Pastor in Florida but I live in Sweden. GOD had already told me I should live in Virginia because of my last name that I got in the 80´s. People was so surprised that my last name was Virginius and I lived in Virginia Beach, Virginia one year before I took the flight back to Sweden. What an amazing story, Eva. Our GOD is so very faithful so supply our every need. While living in Lynchburg, Virginia, the Lord spoke to my husband, David, one night in April, 2007, that we were to come here to Snyder,TX and manage an apartment complex that my mom and dad owned at the time. Their health was failing and they were no longer able to handle the business. So, in obedience, we left our lush, beautiful, almost-perfect-climate Virginia and moved here to hot, dry, windy, practically tree-less, small-town Snyder…to a 60+ year old apartment complex that was definitely “on the wrong side of the tracks!” Literally! Its history includes shootings, dead bodies found in dumpsters, drugs, you name it. And while my parents had made significant progress in “cleaning up the place”–both literally and figuratively–there was still MUCH left to be done. Much has happened here since we took over June 1st, 2008, including learning about house/simple church, attending two House2House Conferences, and even experiencing a small “taste” of house church with a group of folks who exited a local mainline legacy church in 2009. But now we find ourselves at the “waters edge”, so to speak, of what we both sense is what all this preparation has been all about. We’re a week–two at most–away from having one of our downstairs apartments remodeled…and we’ve remodeled it specifically so that we can have a buffet table large enough for pot-luck meals and a living area large enough to accomodate a dozen people AND have room for my keyboard and a small amount of music equipment. We’ve determined that, just like what we heard John White say at our first House2House Conference, we’re not going to do ANYTHING unless Jesus tells us to do it. And just like we’ve learned from you, Felicity, we’ve taken on board that the Lord is already at work in the lives of all the “pre-believers” around us…and there are many here in the complex. The most significant thing HE revealed is that we ARE to begin praying specifically for certain “people of peace” here in the complex that we have been observing already have an openness to things of the Lord. In fact, I’ve already had an opportunity to pray with one young lady about some personal “issues” she was having. The message from Him today was clear: The process of “enlightenment”–the point that people start to seek God to the point that they actually commit to Him/become born-again–takes time. (We’re reading some recent emails from John Fenn on this that are excellent.) And your blog posts, Felicity, have helped along these lines, we well. Prayers for David & I and the folks here at Cedar Row Apartments would be greatly appreciated. Thanks!